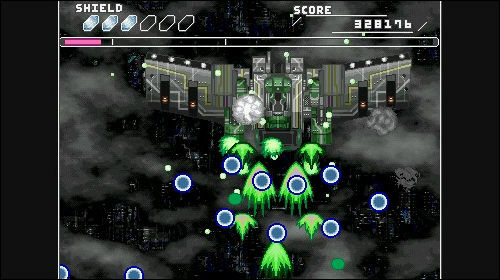 XED is a decent vertical shooter by BomB that will please veteran shmup fans, but drive beginners mad even at it's default difficulty setting. The game sports great pixel graphics and consistent frame rate, though only two continues are allowed for each game. Hold the left shift key for spread shot, and use the Z key for concentrated firepower. Your special weapon can be charged by destroying enemy ships, then activated by pressing the X key. A stage select feature allows players to attempt levels previously completed. The config file can be used to change key configuration settings.